CHINA: The Chinese wind industry needs to avoid the trend to create large capacity wind turbines, according to a senior figure in the country's National Development and Reform Commission (NDRC). The comments were made by Li Junfeng deputy director of the NRDC's energy research institute, which oversees China's energy policy. Li questioned the commercial rationale behind the development of large-capacity turbines around 3MW to 5MW. He said Chinese manufacturers should instead concentrate on perfecting products in the 1.5MW to 2MW range. He said: "When we have not yet fully mastered 1.5MW and 2MW wind turbine technologies, industrial administrational bodies have started to advocate promoting 3MW and 5MW turbines in the course of establishing industrial standards and inviting public tenders. "They have even set big wind turbines (MW level) as a technological threshold for enterprises to win industrial policy support." An example of this is the recent tender for wind power projects in Hami, a 10GW-level wind power project in northwest China's Xinjiang, which required bidders to use 2.5MW or larger wind turbines. Li said China should learn from Europe's experience with large capacity turbines. Li claimed that despite the development of 5MW-range turbines over the last five years, 85% of Europe's wind capacity still stems from 1.5MW or smaller machines. 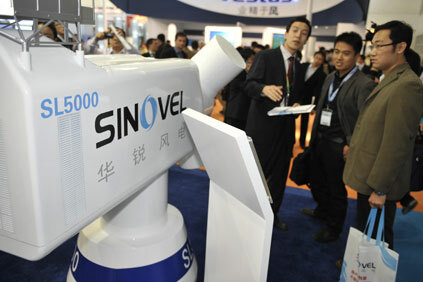 So far, China has only a few companies, such as Sinovel, Goldwind, Shanghai Electric, Dongfang Electric, XEMC, Mingyang and Yinhe Avantis, capable of producing 2.5MW and larger turbines. Li questioned whether China's manufacturers had enough experience to create large capacity turbines and said they needed to concentrate on efficiency and reliability. He said: "Except for a few large wind turbine makers, how many Chinese enterprises could make 5MW turbines? How many of those large wind turbine makers could produce more than fifty 5MW turbines a year? Have any of the wind turbine makers had the experience of producing 1.5MW wind turbines for more than five years?" Li also backed up the recent decision by China's National Energy Bureau to investigate the manufacturing and installation of Chinese wind turbines. "China needs to pay high attention to the quality problem of wind turbines. But it is really unnecessary to make a fuss about it." "About 10 wind turbine incidents a year are not so many for China, considering the large size of wind power development across the country. Foreign countries have met similar problems in the course of industrial expansion."